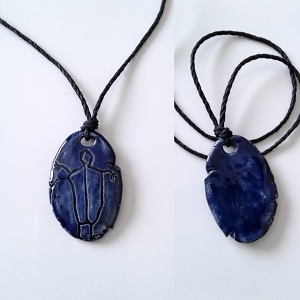 Beautiful Mayan Glyph IK ceramic Pendant made from high fire white stoneware pottery clay. 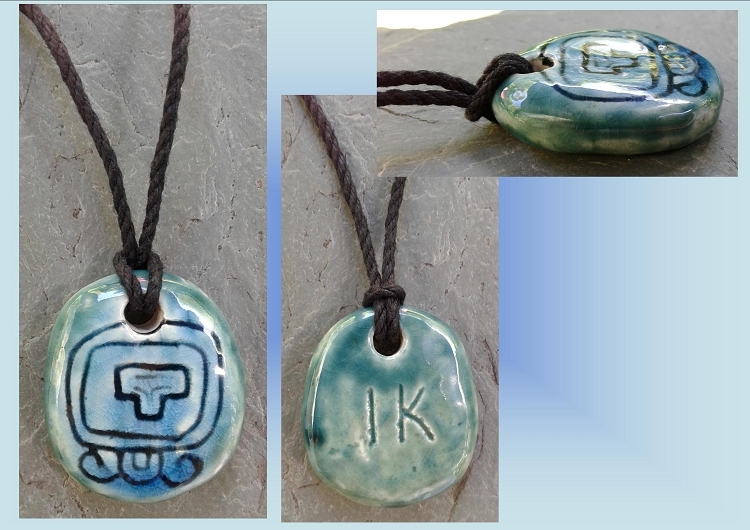 This clay bead has been hand formed by me, air dried for several days, painstakingly carved with the Tzolk'in Mayan Glyph for IK then fired for several hours at 1600F, glazed turquoise & teal and fired for several more hours. Resistant to all the elements, and made to last! Threaded onto a tough black adjustable 2mm thick Hemp cord. 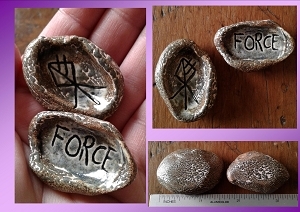 The bead itself measures 1-1/2 inches long by 1 inch wide by 1/4 inch thick ( 40mm x 25mm x 7mm). In the jungle, the wind can be a welcome breeze or a force of destruction. 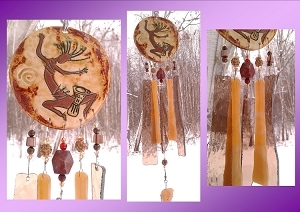 Our word hurricane comes from the Maya word Hurakan, a god of winds and storms. Characteristics: intellect and communication, multifaceted, and versatile, but also idealistic.